MSt tutor Jenny Lewis will be reading with Adnan al-Sayegh, Peter J. 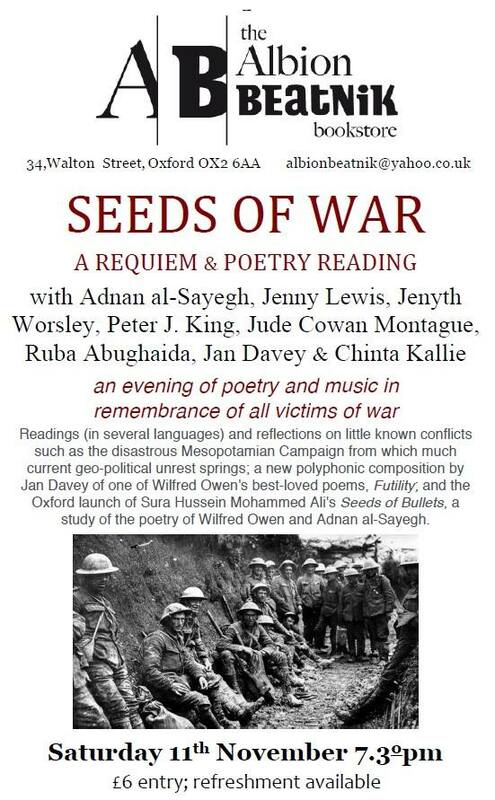 King, Jude Cowan Montague, Chinta Kallie, Ruba Abughaida and Jenyth Worsley at the Armistice Day Requiem and Poetry Reading at the Albion Beatnik Bookstore, from 7.30-9.30pm on Saturday 11 November to remember all victims of war, spoken in several languages. The event will feature a new requiem based on Wilfred Owen’s poem, ‘Futility’, composed by Janet Davies. .
“For Barangay 105, Tondo, it started with a small space. Around 30 square meters, which—by the standards of a Metro Manila slum that’s so densely populated that it could not be relocated to Bulacan or Laguna—is not very small at all. In 2014, neighboring slumlords began encroaching on this precious empty parcel, and were just about to claim it for themselves before Remy Cabello, a local volunteer teacher, reached out to Quintin Pastrana for help. She told him that if she could not convince the slumlords that she could build a classroom with a library there, they would take it away. Read the rest of the article on the website. MSt alumnus Chris Viner’s poetry collection Lemniscate, will published by Unsolicited Press on 31st October 2017. You can read about it, and (pre-)order it from the publishers. MSt tutor Caroline Bird’s collection In these Days of Prohibition has been shortlisted for 2017 TS Eliot prize. The winner of the Prize will be announced on Monday 15th January 2018. 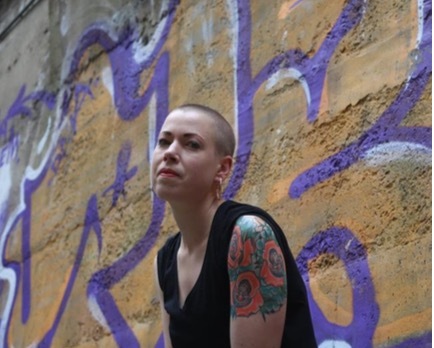 MSt alumna Mary-Jane Holmes has won 2017 Bridport Prize for Poetry for “Siren Call”. More information: a list of all the winners, and a note about Mary-Jane Holmes. Mary-Jane’s debut poetry collection will be published by Pindrop Press in 2018. 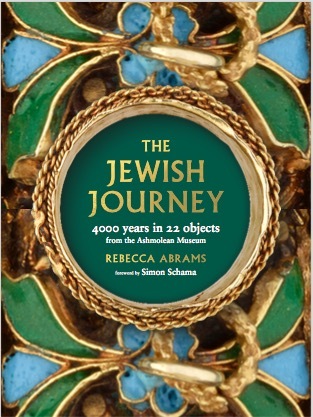 MSt tutor Rebecca Abrams’ article complementing her book, The Jewish Journey: 4,000 Years in 22 Objects, is in The Observer of 15th October 2017. Peter Moore is a writer, historian and critic. 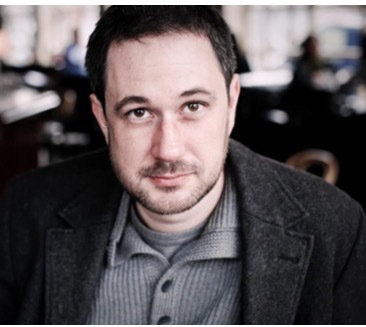 His debut Damn His Blood was published by Chatto & Windus in 2012 and was chosen as a Radio 4 Book of the Week. His second book, The Weather Experiment, was a Sunday Times Bestseller, a New York Times Notable Book of 2015 and was adapted by BBC 4 for a three-part television documentary. He reviews regularly for The Literary Review and has been a writer in residence at Gladstone’s Library in Flintshire. In 2016 he was awarded a Winston Churchill Fellowship for his third book, Endeavour, which will be published in 2018. Helen Mort was born in Sheffield. She has published two poetry collections with Chatto & Windus, ‘Division Street’ (2013) and ‘No Map Could Show Them’ (2016). She won the Jerwood Aldeburgh Prize for best first collection in 2014. Helen has a volume of short stories forthcoming from Wrecking Ball and a novel forthcoming from Chatto. She is a core creative tutor on Oxford’s MSt in Creative Writing. She also teaches at Manchester Metropolitan University. MSt alumna Kent DePinto’s programme, “The Fish that Ate Florida”, originally on BBC World Service’s Life Stories on 1st October 2017, is now available to listen to online. “As part of the BBC Life Stories season, exploring our relationship with the natural world, we travel under the sea in pursuit of a major ecological threat to Western Atlantic coasts – the Lionfish. The species, which recently spread from its natural territory in the Pacific to Atlantic waters, is aggressive, exotic and very, very hungry. Kent DePinto explores how lionfish went from being an aquarium favourite to the scourge of an aquatic ecosystem as it eats everything in its path – with no natural predators in these seas to control it. She meets the people who have made it their life’s work to eradicate lionfish from Florida waters, in an underwater journey of spears, guns, and survival of the fittest.